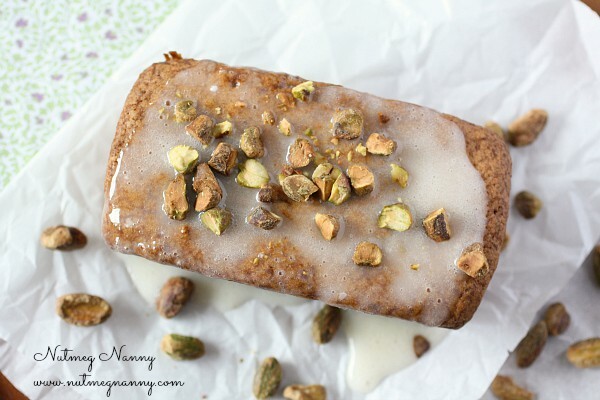 This pistachio pound cake is PACKED full of pistachios and made with white whole wheat flour. If you love nuts this pound cake is calling your name! Today I’m doing a guest post over at the fabulous blog Bakeaholic Mama! Now, what you might not know about me is that I have a major sweet tooth. There are days where I crave nothing but sugar and carbs. A normal person would say this is the perfect time for a detox because obviously something it out of whack. I think this is the perfect time to make pound cake. They say your body craves what it needs…right? So, since my body was craving carbs and sugar and I had two giant bags of pistachios I put the two together and hoped for the best. Plus apparently, March is pistachio month. I wouldn’t have known this if it weren’t for the fine folks at Magnolia Bakery. They kindly informed me of that when I buying up the last of their pistachio cupcakes they had on display. I’m a sucker for pistachios. Which brings me back to this pound cake. I found the recipe on Martha Stewart and make just a few changes. It was absolutely perfect! The pound cake was moist, dense and had the perfect pistachio flavor. Then it was drowned drizzled with some icing and sprinkled with even more pistachios. It’s a pound cake and pistachio lovers dream. I ended up eating a slice (or two) for dessert…and breakfast…and pre-lunch snack…and you get the idea. I ate it. All day. Looking for more delicious cake recipes? Try my Greek Yogurt Grapefruit Poppy Seed Cake, Cream Sherry Bundt Cake, Apple Pie Coffee Cake, Chocolate Zucchini Date Cake, Blueberry Fritter Cake, Zucchini Coffee Cake or my Black Forest Cake. Line a 8-1/2 by 4-1/2 inch loaf pan, or 4 miniature loaf pans, with parchment paper. Spray the pan and parchment with non-stick cooking spray and dust with flour. Tap the flour around in the pan to evenly coat and tap out excess. In a food processor add 1/2 cup salted pistachios and process until the nuts become a paste. 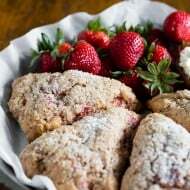 In a medium sized bowl sift together all-purpose flour, white whole wheat flour and a pinch of kosher salt. Set aside. 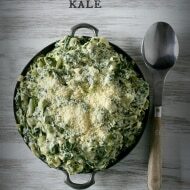 In a bowl of an electric mixer add pistachio paste, butter and cream cheese. Cream together until the mixture becomes fluffy and light, about 3 minutes. Reduce the speed to medium-low and slowly add in sugar. Mix together until fully combined. If necessary scrap down the sides of the bowl and beat in eggs, one at a time. Once eggs are incorporated add in vanilla bean paste and almond extract. 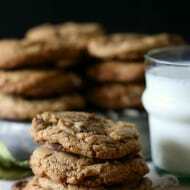 With the mixer speed on low slowly incorporate flour mixture. I find this easiest to do by adding one cupful at a time. If you add too much you might end up wearing the flour. Once flour is mixed into the batter fold in the 1/2 cup roughly chopped pistachios. Divide the batter between miniature loaf pans (or add it all to the large loaf pan) and smooth the tops. Bake until the batter is set and a cake tester inserted into the middle comes out clean. This will take about 1 hour and 30 minutes for a large loaf pan and about an hour for the smaller loaf pans. Let the pound cake cool in the pans for 20 minutes and then unmold and remove the parchment bottom. Let cool and then drizzle with icing and sprinkle with chopped pistachios. Whisk all ingredients together and drizzle onto cooled pound cakes. If the mixture appears to be too thin add more powdering sugar, if it’s too thick add a little more heavy cream. Drizzle over cake and top with chopped pistachios. 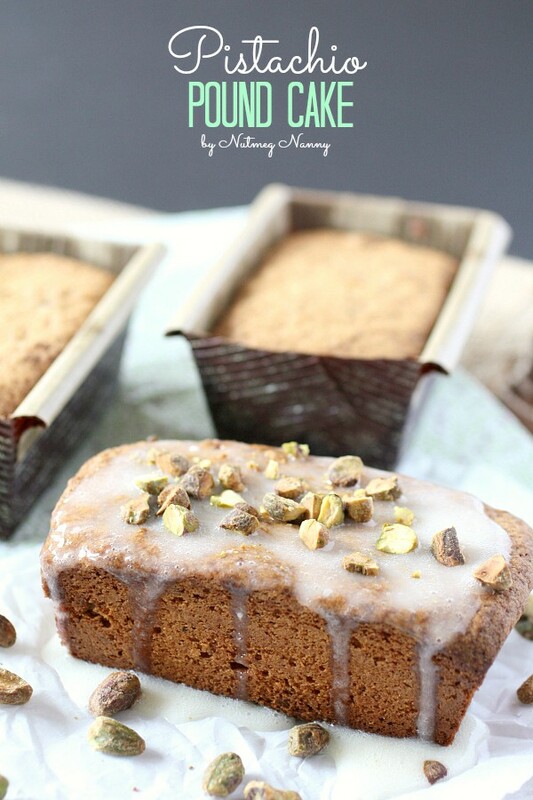 Just found you via Carrie’s blog… this pound cake looks great! I love Martha’s pound cakes — like you I just make minor changes here and there, but they are always fabulous. This looks awesome!! Such a great flavour combination! That’s a very pretty cake! And your blog name (Nutmeg Nanny) is so cute and unique! WoW! I was just looking over a pound cake recipe today, and thinking it’s been a while since I baked one. This must be a sign. Beautiful! 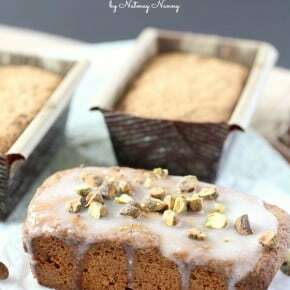 This pound cake sounds amazing and looks so delicious!! Amazing! Pistachios are my fav…. Mmmmmm. Such a great lookin cake ~ love the pistachio! 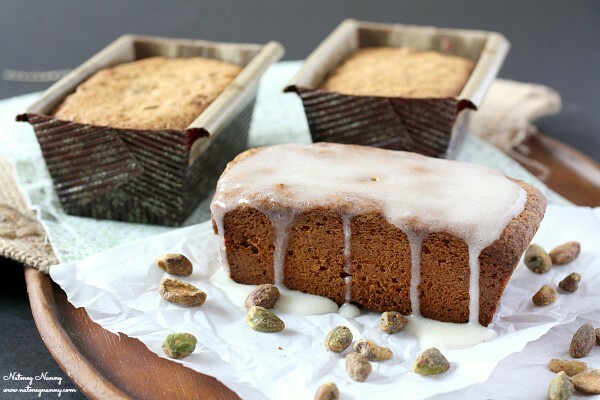 I’m crazy for pistachios especially when they come in pound cake form! Pistachios are my favorite nut, ever. This is pure fantabulousness doll! Thanks Rebecca! Pistachios are so delicious!